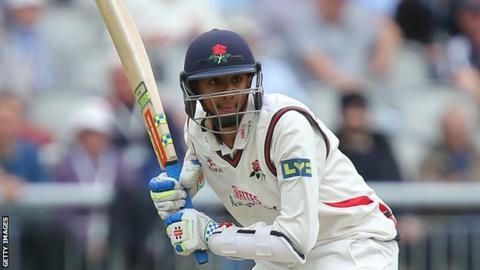 Lancashire opener Haseeb Hameed has similar qualities to former England batsman Jonathan Trott, says Lancashire cricket director Ashley Giles. In just his third first-class match, Hameed, 18, hit an assured 91 as the Red Rose drew with Surrey. The England Under-19 captain has been with Lancashire since the age of nine and made his debut last month. "It certainly really bodes well for the future," former England spinner Giles told BBC Radio Lancashire. "It's a great attribute to have as he just loves batting, that should sound obvious for a batter, but he just doesn't give things away. "The only player I've seen that sort of mindset in, to that degree, is Jonathan Trott and he had a pretty good career." Warwickshire batsman Trott retired from international cricket in May after scoring 3,835 runs in 52 Tests over eight years with England. "Has, as we've said, has a pretty bright future," Giles added.